Before we know it, we will be spending evenings wrapping presents, making cookies, and, of course, going to parties. I absolutely adore holiday parties, especially because I love to get dressed up. It wasn’t even Thanksgiving yet and I had all my outfits picked out... sorry not sorry. Read on for a sneak peek and follow me on Instagram @ASunnyStateofMind for more little Christmas posts. For information about where to buy the clothes featured in this post, you can follow me on polyvore. The first outfit I already wore for Thanksgiving and it was really inexpensive and SO Blair Waldorf. 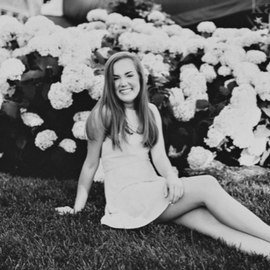 It was a ruffle neckline, flowy, peach dress that I paired with brown tights, a brown belt, riding boots, and a monogram necklace. Okay so next on the agenda is a Christmas party at the country club I belong to that is filled with twinkly lights, Shirley temples, crème brulee, and a ballroom that turns a girl into a princess. So, you have to dress the part, of course. 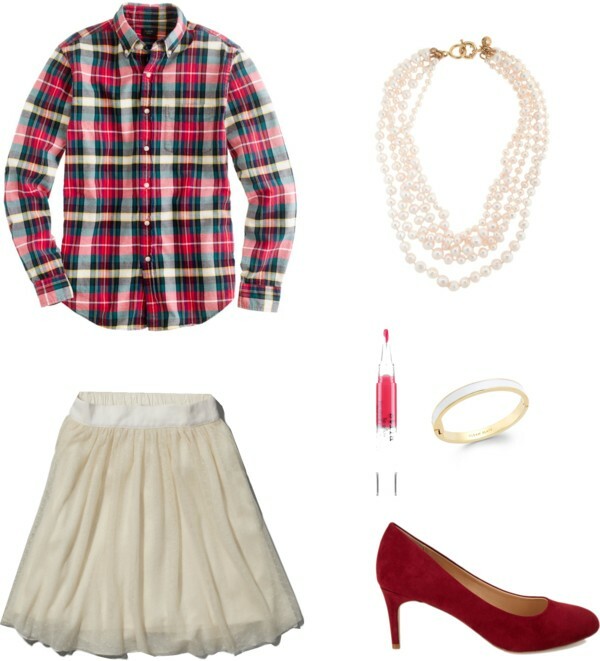 I’ll be styling my short cream tulle skirt with a plaid shirt and pearls. The Christmas eve scene for me is catching up with family, running around with the little ones, eating lots of yummy food, then going home and crashing as soon as possible. I’m leaving this outfit as a surprise and you can find it on my Instagram on Christmas Eve! 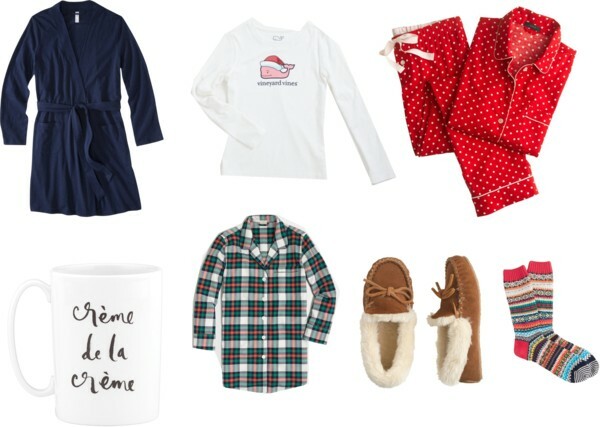 After a Christmas Eve party, you have to get some good sleep so you can wake up and do the same thing all over again… here are my snuggly picks! And… the moment we’ve been waiting for all year long… CHRISTMAS DAY! I’ll be wearing a J. 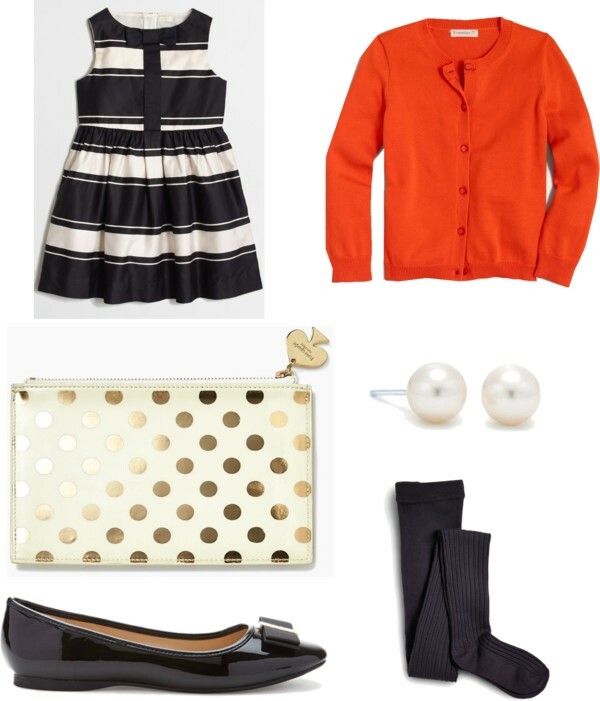 Crew Factory bow dress with a twirly skirt, bow flats, black tights, red cardigan, and Kate Spade clutch.